Hi guys I'm back reviewing restaurants and cafes. Yes I know I'm a fashion blogger but I also want to review good food around Jakarta. 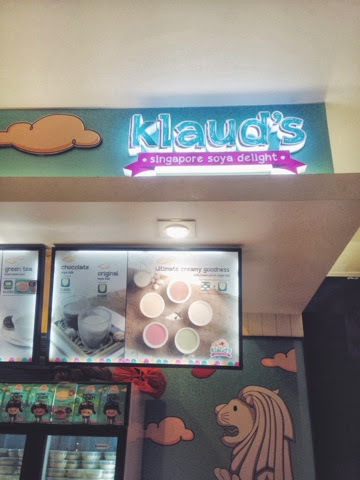 Today I went to Klaud's Singapore Soya Delight at Puri Indah Mall. They also have a branch at Kuningan, I think. My friend told me about this new place at Puri Mall so I decided to go and try. The location is near Sharetea and Hero. Definitely not a strategic place its almost at the corner of the mall. 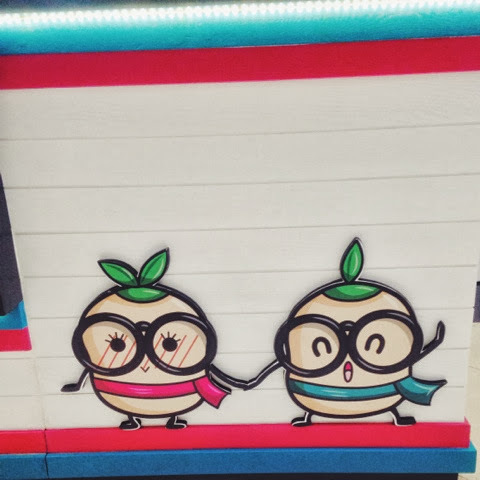 But they have cute design and colorful place so it will be eye-catching to those who passes by. Klaud's is basically clouds in english. 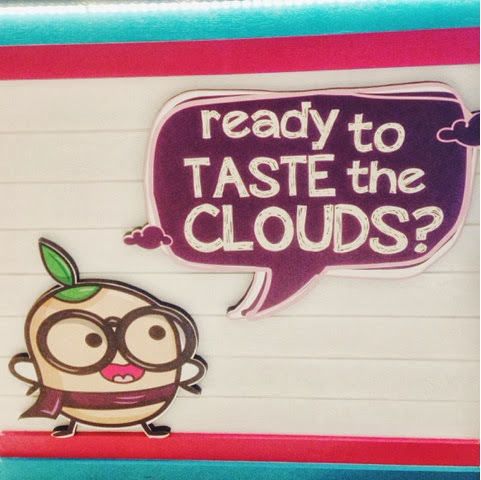 Have you ever wondered what clouds taste like? 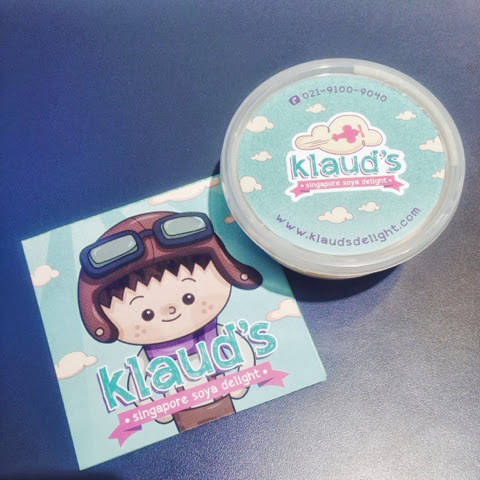 Klaud’s soya is a chilled-soya beancurd with hand-picked ingredients directly imported from Singapore. 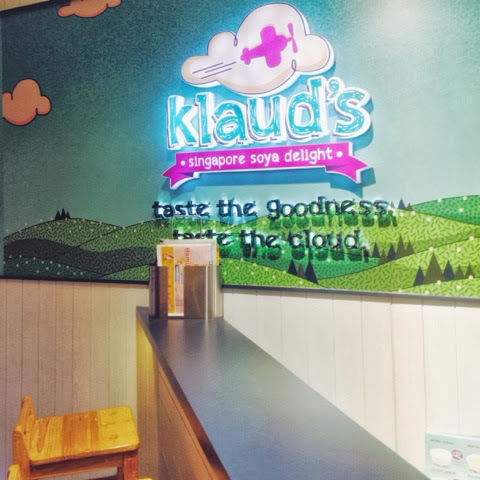 You can smell the goodness of soya by the time the lid is opened, and on your first sip, the soft and smooth texture of Klaud’s soya will melt in your mouth leaving a sweet, light soya after-taste. Wondering what can describe these feelings? It is cloud-like! I ordered Original Soya Beancurd also known as Kembang Tahu in Indonesian. At first I wanted to try their green tea. But they said theres only Original and Mango taste at the moment. At first it looks a bit watery but after I started eating it it doesn't look watery at all. I think its supposed to look a bit watery? And the texture is soft delicate like a fragile pudding. Love their simple and cute packaging! I feel like taking the packaging home lol.